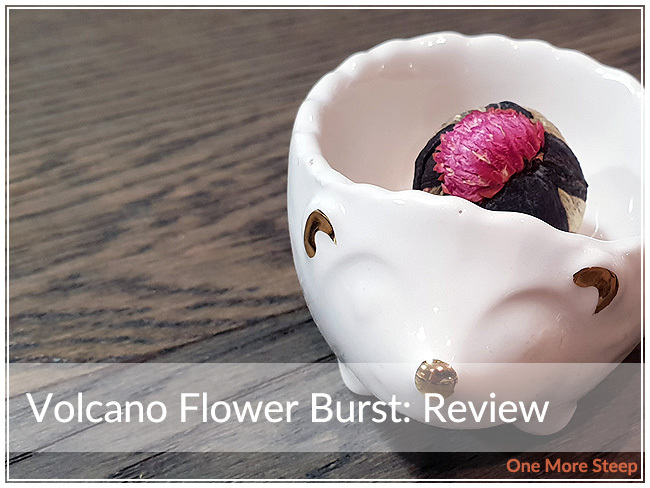 Volcano Flower Burst by High Noon Tea Co.
High Noon Tea Co.’s Volcano Flower Burst came to me as part of The Sugared Teacup’s June themed subscription box. 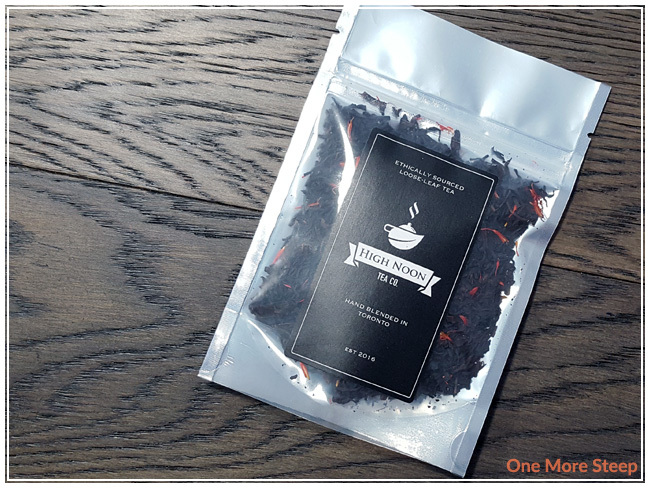 I was really excited to receive a blooming (flowering) tea in my June subscription box from The Sugared Teacup. 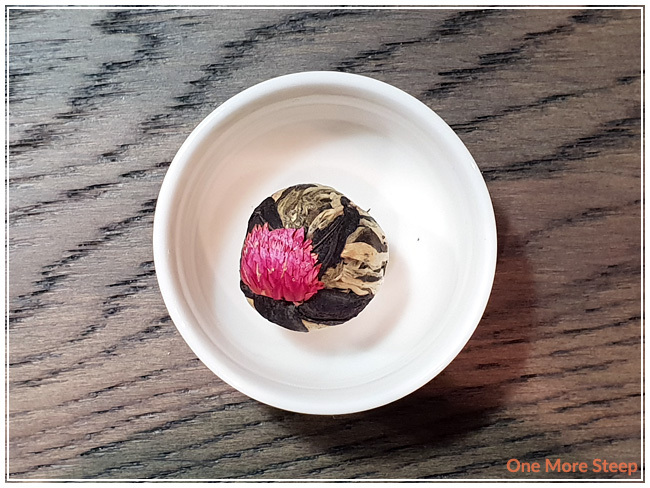 I enjoy flowering teas because they’re just a lot of fun – to watch it bloom, to admire the workmanship that goes into every single one of those beautiful flowering balls of tea, and the Volcano Flower Burst is no exception to that. The aroma is quite floral, and you can see the hibiscus on the bottom and the amaranth on the top of the tightly bound ball of leaves. 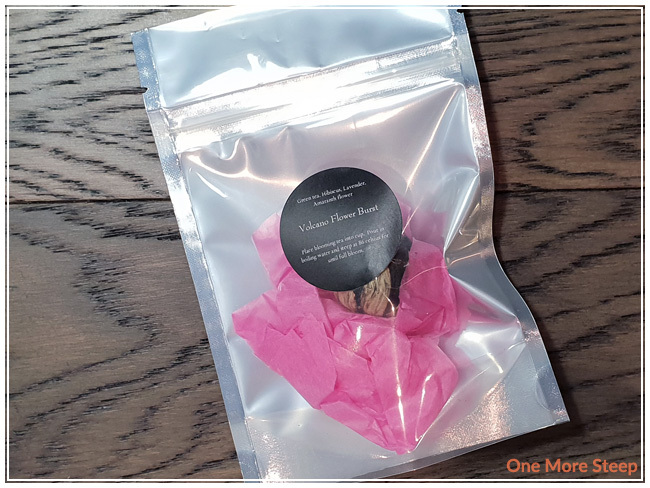 Volcano Flower Burst consists of green tea, hibiscus, lavender, and amaranth flower. I can definitely smell the lavender, but I don’t see any in the dry flowering tea. 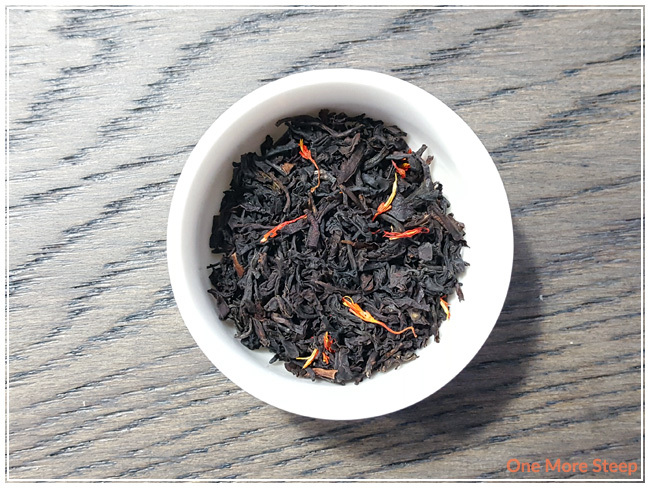 High Noon Tea Co. recommends steeping Volcano Flower Burst in 86°C (187°F) water until it fully blooms. I used 85°C (185°F) water and it took approximately 5 minutes to fully bloom. Volcano Flower Burst steeps to a light peachy-pink, which I do attribute a bit to the hibiscus. 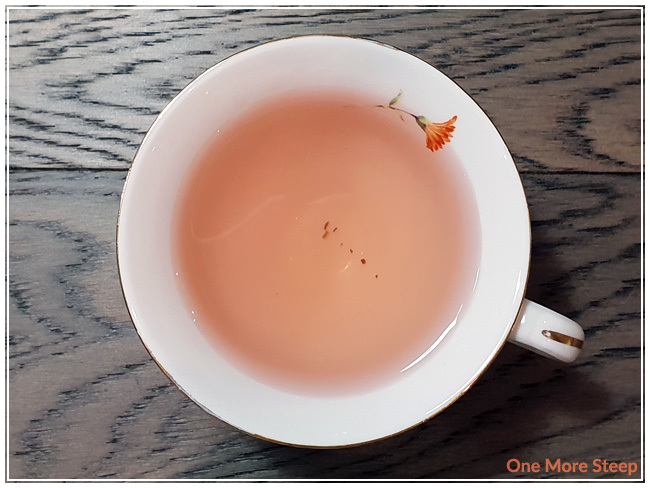 There was just enough to make it pink-tinged without detracting too much from the beauty of the steeping tea. I found the aroma to be very floral, but the flavour wasn’t as perfume-y as I was expecting (which is a good thing since I don’t enjoy drinking perfume). 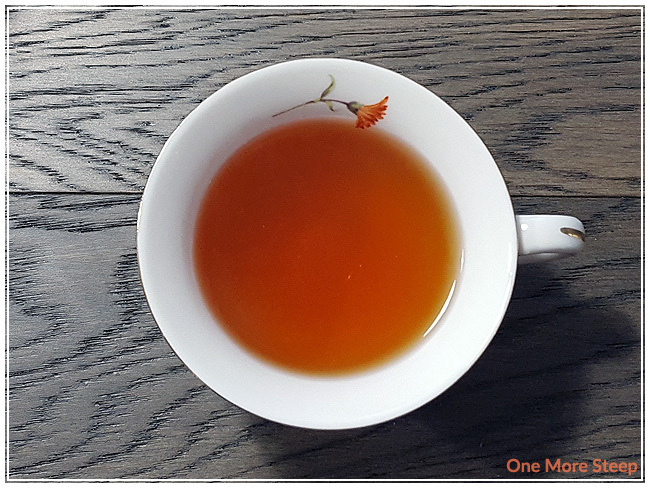 There’s a sweetness to the tea, and it’s a very light, crisp green tea flavour – no astringency, no bitterness, no saltiness that some green teas often have. I don’t see any lavender in the open bloom, but I do smell hints of lavender in the tea itself. 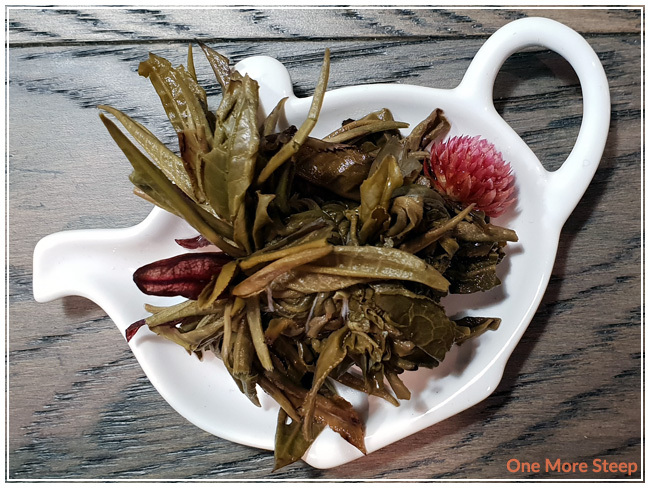 I resteeped Volcano Flower Burst once and found that the tea was significantly less floral, less pink, and more of the green tea base was present. 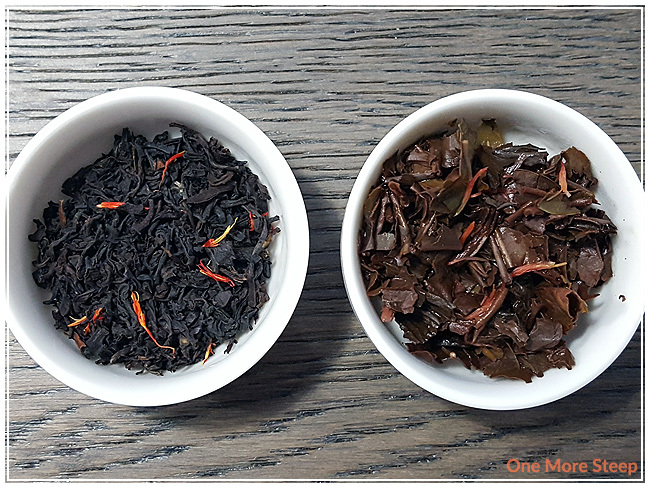 If you love the floral notes, you might not like the resteep (but if you love green tea, you’ll probably want to resteep it. I loved High Noon Tea Co.’s Volcano Flower Burst. Like I said earlier, I really enjoy flowering teas and this was really no exception. I do wish that there was either more flowers present or actual lavender tied into the flowering ball itself – I could smell hints of lavender but I didn’t see any and that was a bit disappointing. 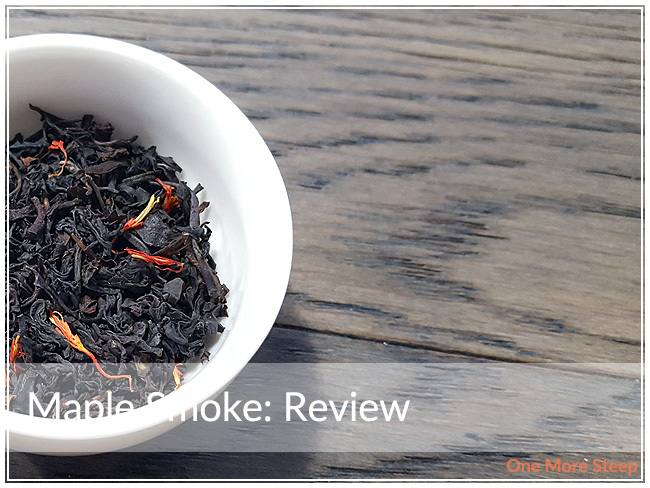 I really enjoyed the green tea base though, which is what made resteeping it worth it (in my opinion). The colour is also lovely, just enough hibiscus to keep the pink colour there in the initial steep. 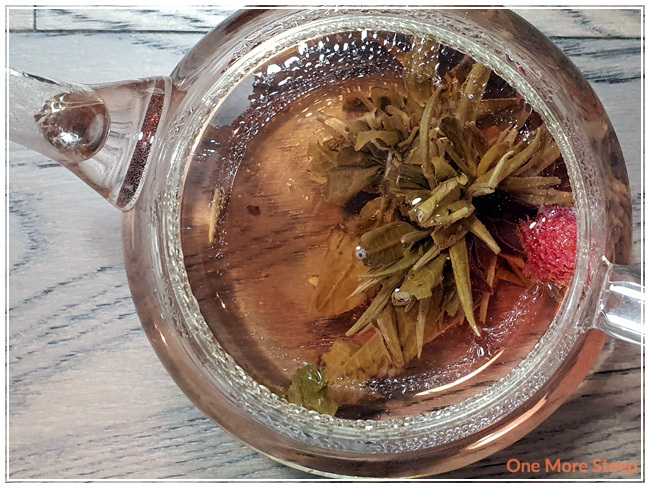 If you haven’t tried a flowering tea yet, I’d definitely recommend giving it a go – they’re just so much fun.